This picture is so sweet. 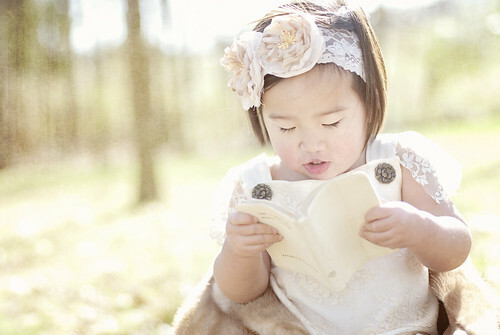 I really love the light, the colors and how they all are diff shades of creams/browns and your daughters sweet expression reading her bible. very special. Love this picture, such a sweet and sentimental moment! SO pretty! Love the light and her outfit! This is just so special - one to frame for her to look at someday!! She's a beautiful little girl! She's so into the book! Pretty girl! Oh Amy! What a beautiful photo! Your processing is wonderful and I love the story behind it.